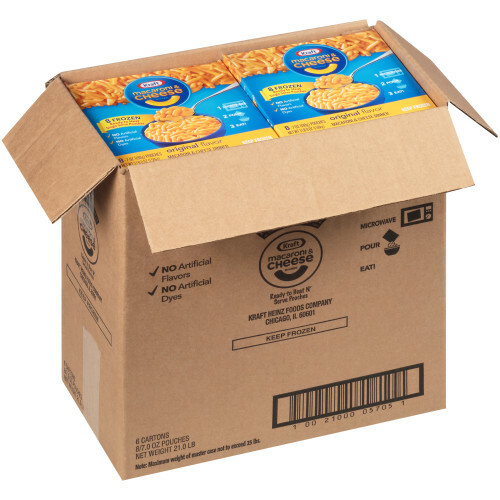 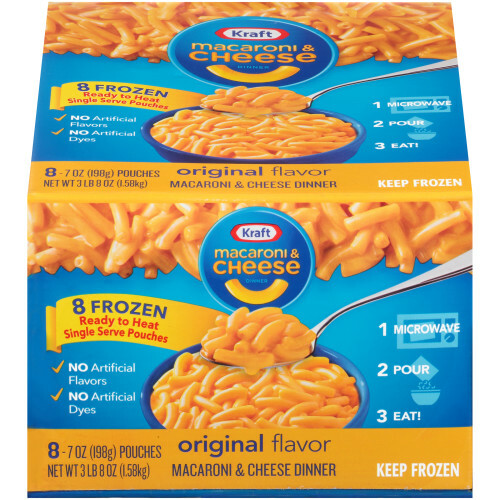 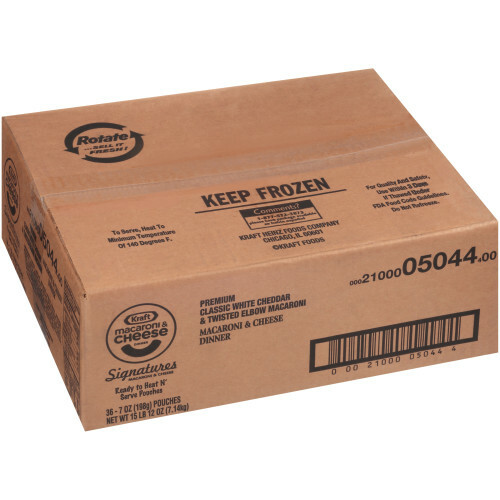 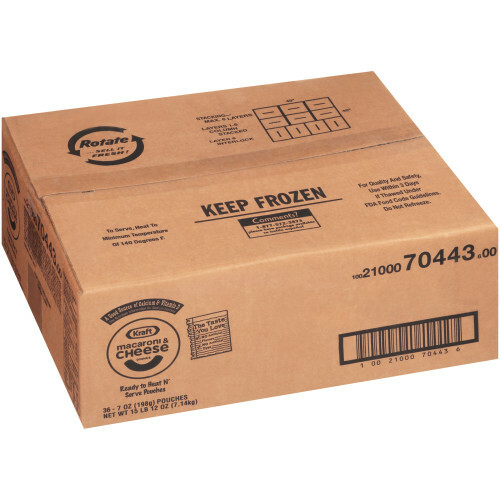 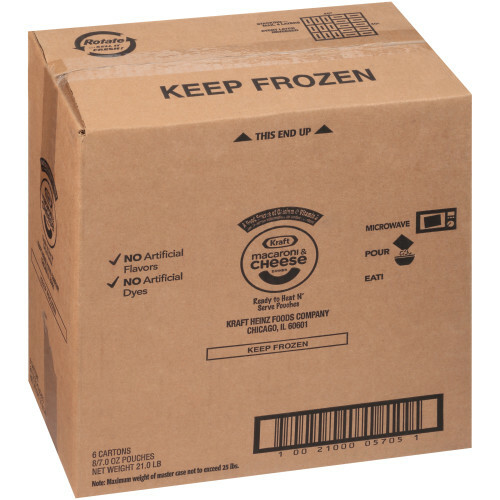 With our iconic cheesy flavor and classic macaroni shape, these frozen no-mess pouches offer the classic Kraft M&C flavor in a flash. 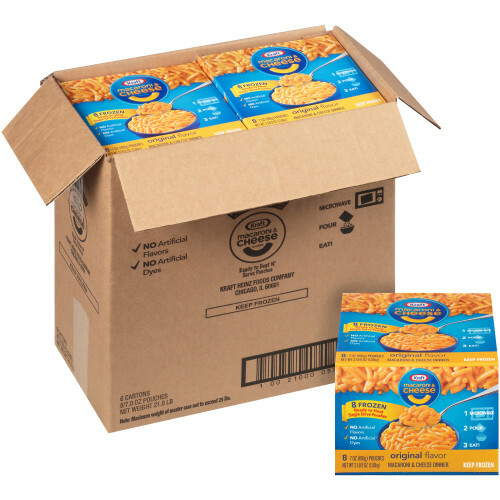 You know you love it, and now you can love it in the bulk format! 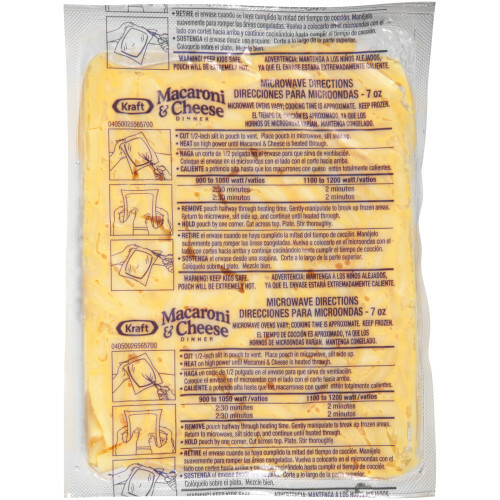 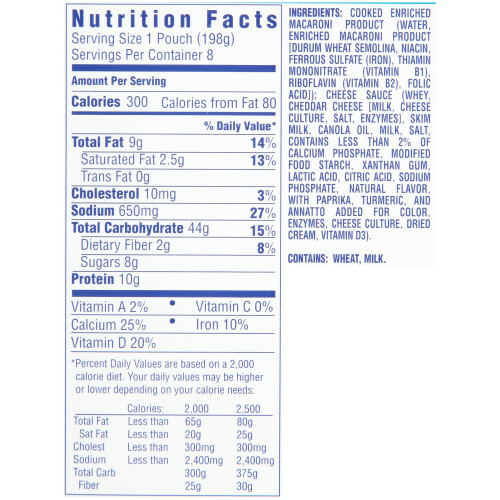 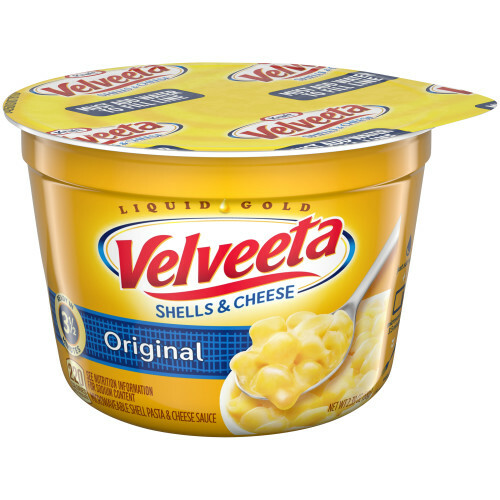 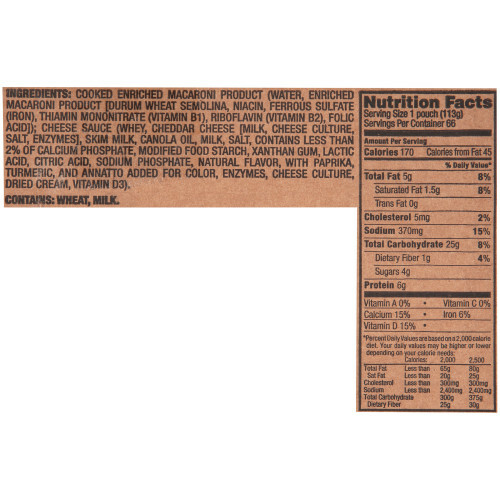 Ingredients: cooked enriched macaroni product (water, enriched macaroni product [durum wheat semolina, niacin, ferrous sulfate (iron), thiamin mononitrate (vitamin b1), riboflavin (vitamin b2), folic acid]); cheese sauce (whey, cheddar cheese [milk, cheese culture, salt, enzymes], skim milk, canola oil, milk, salt, contains less than 2% of calcium phosphate, modified food starch, xanthan gum, lactic acid, citric acid, sodium phosphate, natural flavor, with paprika, turmeric, and annatto added for color, enzymes, cheese culture, dried cream, vitamin d3).